As promised, I’ll be posting my belated experiences with using the Apple Watch as a FitBit alternative shortly (I did order my Watch on Black Friday but I’ve been so busy at work it’s just been sitting in the box). But rather than being a laggard in posting stuff about 7 month old technology, I have the extreme pleasure of being one of the first to tell you about the next big thing for exercise fitness and exergaming. It’s something called VirZoom. And having tried it in person a few weeks ago, it is AMAZING (in fact, I’ve been chomping at the bit to share my experience with you, but because the announcement was embargoed I’ve had to stay quiet…until now). Since I started this blog you’ve heard me say that the best exergames are the ones where you’re having so much fun you don’t even realize you’re getting a workout. We’ve come close over the years. The balance exercises in Wii Fit and Wii Fit U, the live action fighting in Kung Fu Live on the Xbox 360, and of course the dancing in games from DDR to Just Dance. As you probably know, next year we’re about to see the next big step in gaming. 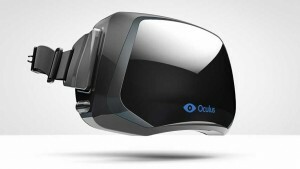 The Oculus Rift, after years of being hyped up, will finally be released. 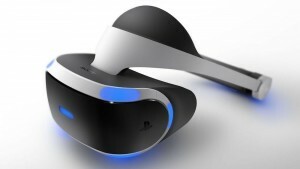 Not far behind is Sony’s Playstation VR which will be an add-on to the PS4 (hopefully managed a little better than the Playstation Move). And the HTC Hive will also be in the mix. When I tried an Oculus a few years ago at a demo at the US Tennis Open, I honestly wasn’t very impressed. Yes, you could look up, down, left, and right but it seemed more like a gimmick than anything that I’d eventually pay thousands of dollars for when you factor in the console and all the games. A few weeks ago I was invited to demo something called VirZoom, and as a bonus I got to demo it on a pre-production Playstation VR. And as someone who’s been following exergaming since the days of My Fitness Coach and DDR, I can say that the dream of having a full immersive exercise experience is finally here. What is VirZoom? Well, on the surface it’s an exercise bike. I know what a lot of you are thinking. That looks a heck of a lot like an old a Cyberbike. But that’s like saying that a Lamborghini is like a Model T.
The bike itself feels great. It’s light enough to carry and ship without am army of people to lift it, but it feels solid to ride. 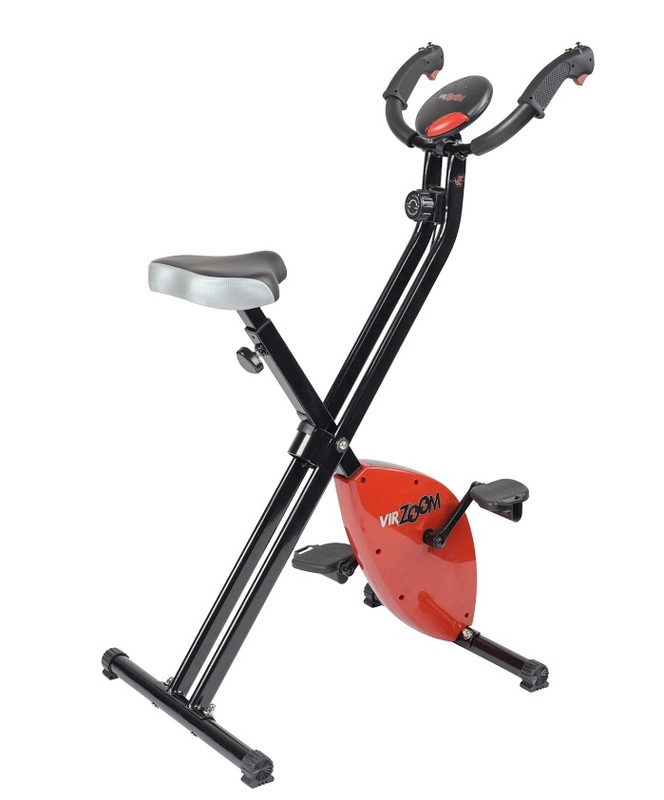 Unlike the Cyberbike (which felt like a rock against your posterior and seemed like it was going to fall apart at any second), the VirZoom bike was comfortable and had decent resistance when pedaling. But what set this experience apart was when I put on the Playstation VR glasses. They ran me through a couple different games, most of which can be seen in this gameplay reel. What this video doesn’t capture is that you don’t just see the screen in front of you, but you can turn your head up, down, left, and right and be immersed in the scene. All the games were from a first person POV. In the first game, I felt like I was riding a horse. I could look around the whole scene and see an entire Old West town, and as I pedaled faster the horse I was on would gallop faster. Once I got over the initial “this is cool” factor, I focused in on the task of lassoing the bad guys, which felt incredibly realistic. And yes, by the time I lassoed all of them I didn’t even realize I’d pedaled a decent amount. The next demo had me driving a racecar. While you might think pedaling at 12 MPH to control a race car at 200 MPH would be disconcerting, it felt strangely natural. They saved the best game for last–one when you’re on a Pegasus. You start off on a road at the edge of a cliff and then ride your horse off a cliff, at which point you realize you’re flying through the air. The sensation of looking down at the earth far below was stunning. A few things surprised me. First, I was surprised at how comfortable the glasses felt–they were a bit bulky but certainly stayed on my head securely. The credentials of the team who developed this system are impressive. The co-founder served as the head tech engineer for Harmonix. 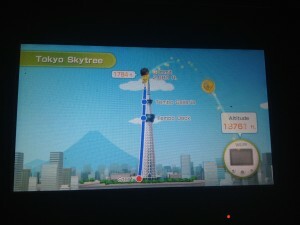 One of the developers led the development of the accelerometer that made the WiiMote possible. As brilliant as these guys are technically, their most brilliant move is probably getting in on the ground floor of what will be one of the “killer applications” for VR. I just had a quick 20 minute look at this, but from my gushing you can probably tell I was impressed. If you want to get in on the ground floor of something big, head on over to their Web site at http://www.virzoom.com/. They’ll be selling the first 300 units at $199.95, which I suspect will go quickly. The regular price will be $249.95, which is an amazing price point for new technology. 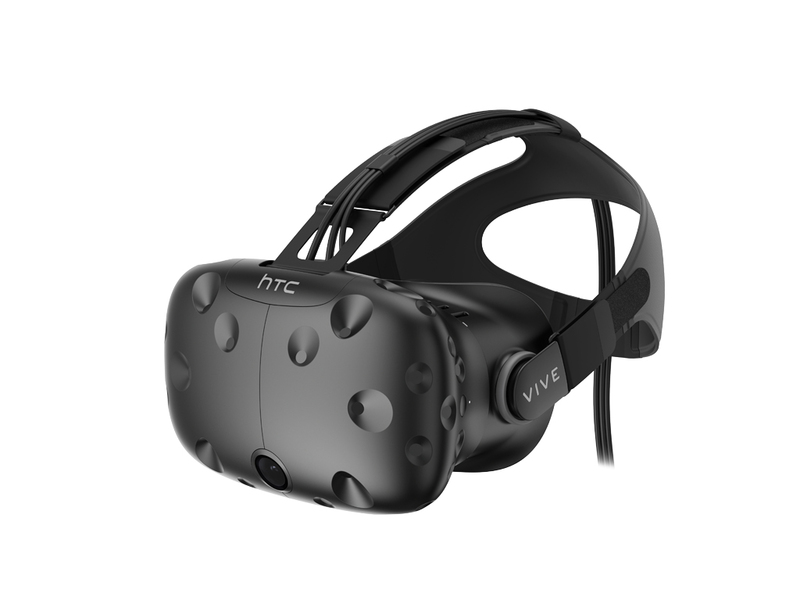 Of course, you’ll need to wait until the Oculus, Playstation VR, or HTC Vive to actually use it (the VirZoom will ship in the first half of 2016, presumably after these manufacturers release the products for general availability). Needless to say, just as exergaming itself is evolving, I’ll be looking forward to providing you with updates as these products go live. To paraphrase Mark Twain, rumors of the death of video game fitness are greatly exaggerated. More on this in the first half of 2016! What Watch? 10 Watch! Such Much? 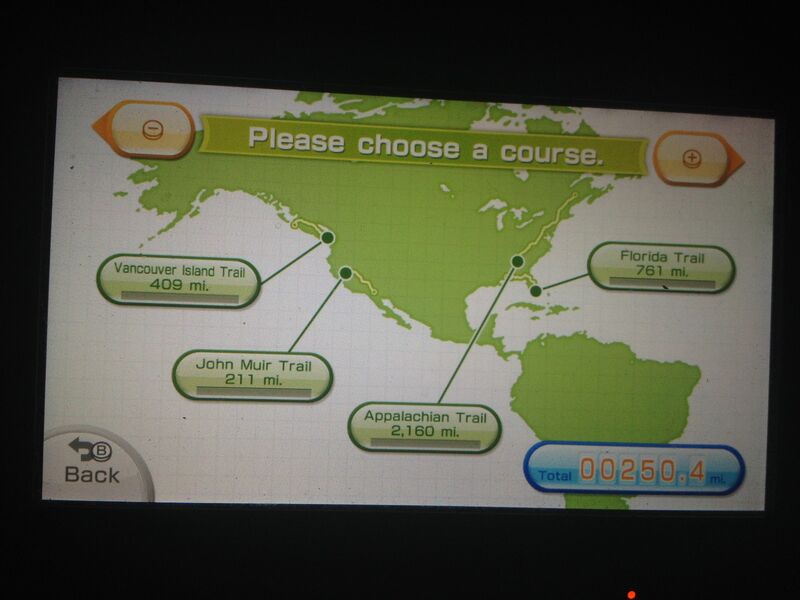 Well, sadly the world of Wii exercise games has all but dried up. The good news is that there’s a very healthy aftermarket, and a lot of the games on our list of best Wii games and best Wii U games are available from Amazon or eBay resellers at very affordable prices. 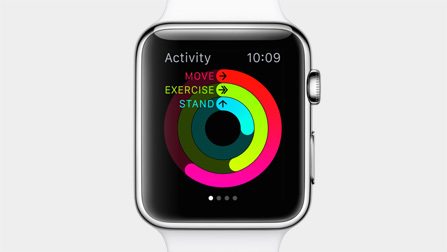 In looking around for the “next big thing” in fitness gaming, naturally the Apple Watch caught my attention. Now granted there are going to be a huge number of annoying elitist-types who buy the watch just to be seen with it. And Apple is getting just a little annoying with its pretentiousness (really, a 5-minute speech on its space-age “alu-min-ium”?) But looking beyond all that, the one thing I can’t dispute is that Apple’s always helped make my life better, from my first Apple //e in the 1980s to my first Mac SE/30 and Powerbook in the 1990s, to my first iPod in the 2000s to the iPhone I have today. 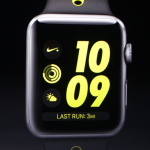 And if spending a ridiculous amount of money on a watch is going to help me track my fitness better and turn my everyday activities into a “video game”, maybe I’ll give it a shot. 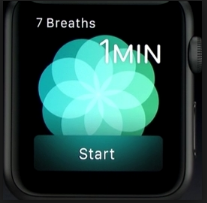 One of the more impressive features of the new watch is going to be its heart rate sensor. There’s a reason the doctor uses your wrist to check your pulse. 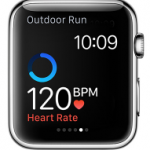 This watch uses different diodes to detect your heart rate and let you view it at a glance on your watch. One of the things I’ve mentioned a lot on this blog is the importance of getting into the “aerobic zone” when working out, and this will help. I’ve held off on Jawbones and Fitbits and Nike+ sensors in the past, but this is one I might finally bite on. 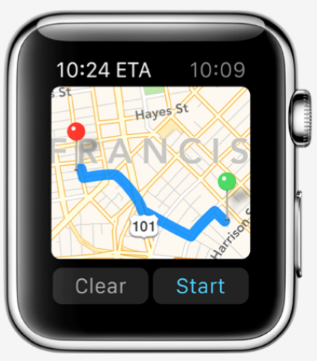 Something else I like about this watch is that it has a built-in GPS. Right now when I’m biking with my phone in my pocket, my favorite apps like Runtastic Road Bike PRO frequently lose their signal, so what should be a nice 3-mile plot of my bike trail ends up being about 20 feet. 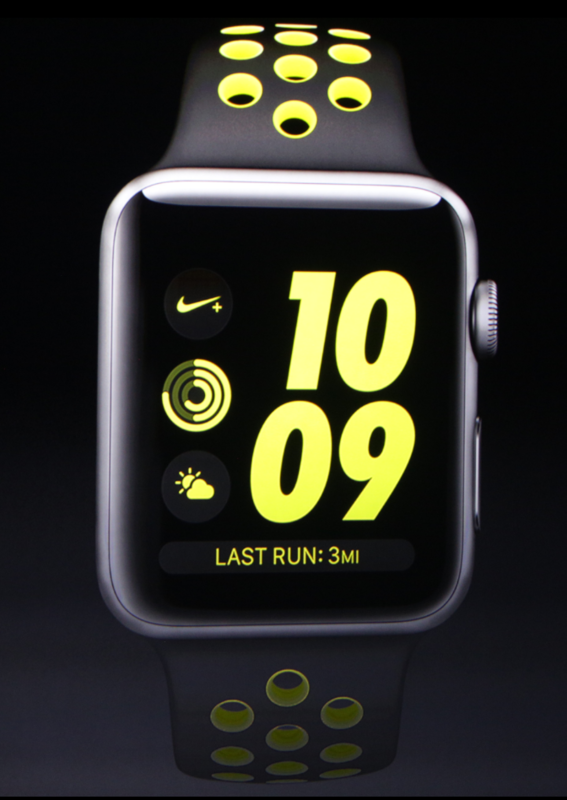 Hopefully with the open-air watch it should improve the tracking. 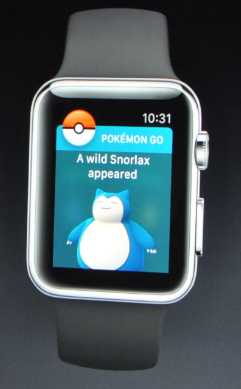 The one thing I’m a little skeptical of is the accelerometer. I can see how the Wii Fit U Meter tracks my steps by being on my hip, but will something on my wrist do it as accurately? If and when I get a hold of a watch, I’ll be sure to do a comparison. 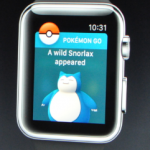 But perhaps the most exciting this about this watch how it can “gamify” your life. You can see some examples of this on Apple’s site. 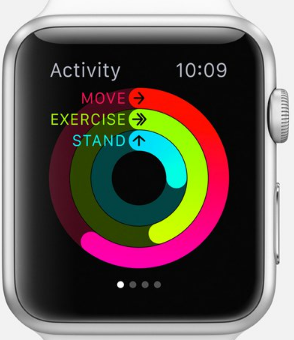 Specifically, one of the apps is going to be a bullseye chart with rings called “Move”, “Exercise” and “Stand” that will let you see at glance exactly how sedentary your life is. Simple things like standing up can give you “credits’ that’ll change your profile. 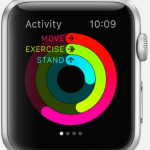 Each week, the Watch can suggest a “Move goal” for how much you’ll want to be moving during the week. And if you’re exercising at any pace of a brisk walk or more, that activity will be tracked as “Exercise”, and with 30 minutes of exercise a day you’ll close that ring. 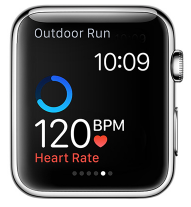 Your little watch screen will show things like your goals, updates, and at the end a summary of how much you’ve “worked out” in a day, whether as literal exercise or as part of your daily routine. 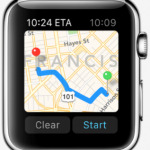 In other words, your life becomes a video game, with goals, rewards, and statuses right on your wrist. As much hype as the watch is getting, I also foresee some problems with it. It’s going to be so bulky that you wonder if there’ll be the same backlash against users of the watch that befell Google Glass early adopters. The battery life is going to be woefully short. And of course, a lot of people will find it annoying that you need to have an iPhone 6 to use it. We’ll see if any of that affects its sales. 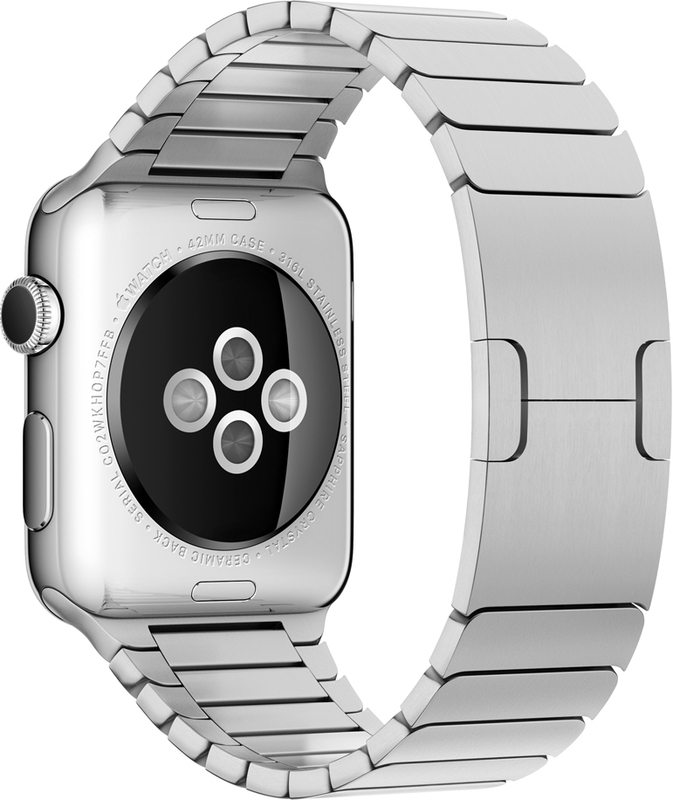 The Apple Watch goes on sale on April 24, and reportedly goes on pre-sale on April 10. Hopefully by taking orders earlier Apple will be able to avoid the inventory issues it’s had in the past. If I manage to get a hold of one, I’ll of course post the grisly details here about how you can incorporate it into fitness and exercise. Over the past few months, Nintendo has been a little cagey about whether their GameCube Controller Adapter for Super Smash Bros. would work with other games. For purposes of those of us who use the Wii for exercise, that would open up a whole lot of Wii games for our use–the Dance Dance Revolution series, Active Life series, and Cyberbike games. For a brief period of time they were hinting that it’d work on everything, but in recent months they’ve been very, very careful to say that it would only work with Super Smash Bros. Still a lot of us had been holding out hope that this was just an exercise in “CYA”–that the adapter would still work on other games but they gave us these disclaimers so they didn’t have to support them if they didn’t. Yesterday, my some miracle I got my hands on one at the Nintendo Store in New York. This accessory is only for use on the Wii U console with Nintendo GameCube or Nintendo GameCube WaveBird wireless controllers. It cannot be used with any other controllers, accessories, or devices such as computers. 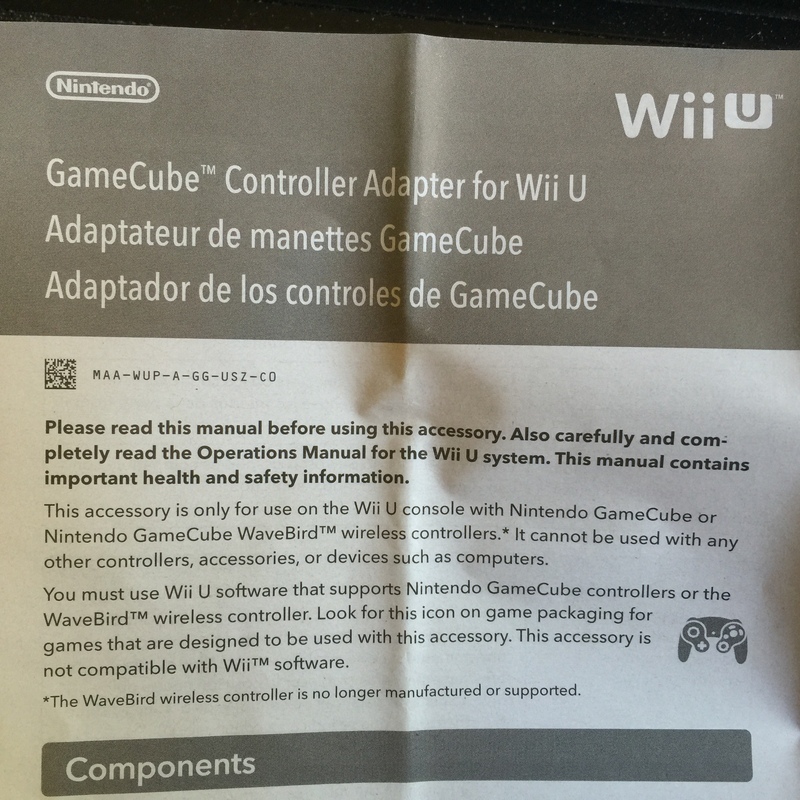 You must use Wii U software that supports Nintendo GameCube controllers or the WaveBird wireless controller. Look for this icon on game packaging for games that are designed to be used with this accessory. 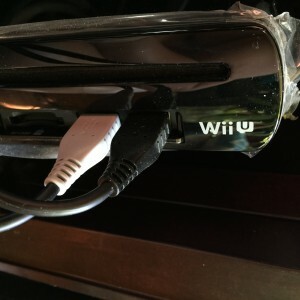 This accessory is not compatible with Wii software. 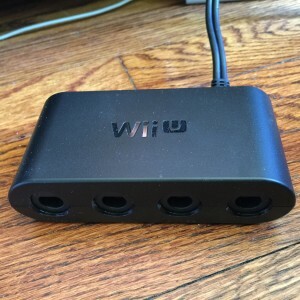 So unlike other “adapters” like the one you use to convert, say, HDMI to DVI or USB to Ethernet, it looks like the GameCube adapter isn’t capable of having a simple adapter that just plugs and plays. Support for it needs to be written into the software. First, the adapter itself looks like it’s really well made. It feels solid and is black with an embossed Wii U logo. On one side are four GameCube controller ports, while the other side consists of two USB plugs, one grey and one black. The additional plug is needed the enable things that need extra power like rumble and WaveBird wireless ability. You start by plugging the USB plugs into the Wii U. 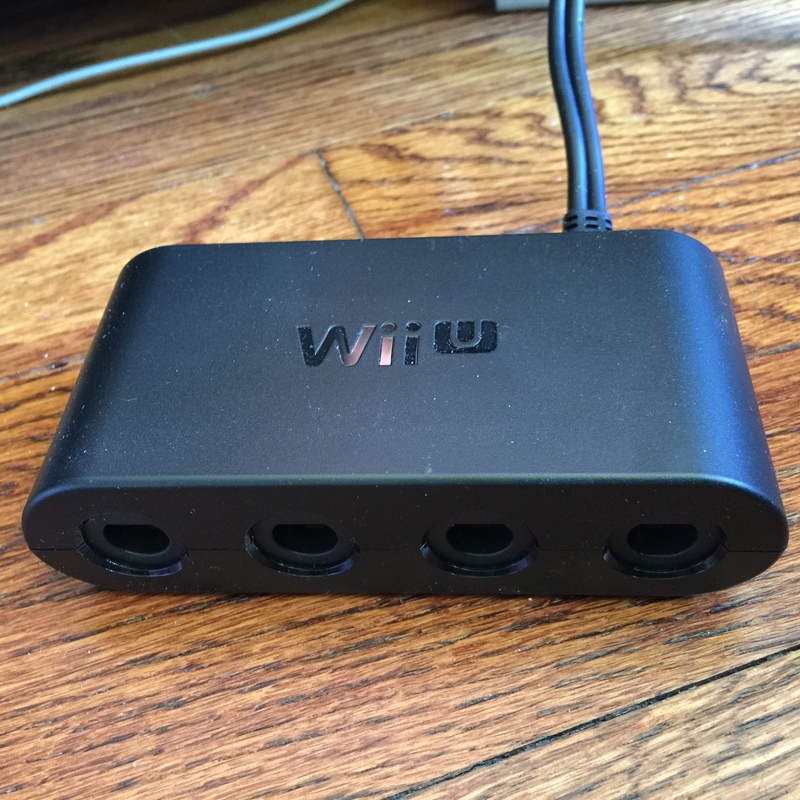 One thing I found interesting was that if you have two GameCube adapters, you can actually plug one of them into the two USB ports in back and the other into the two USB ports in front, and you’ll support up to 8 players for games that support that (which, again, is only Super Smash Bros. for Wii U right now). 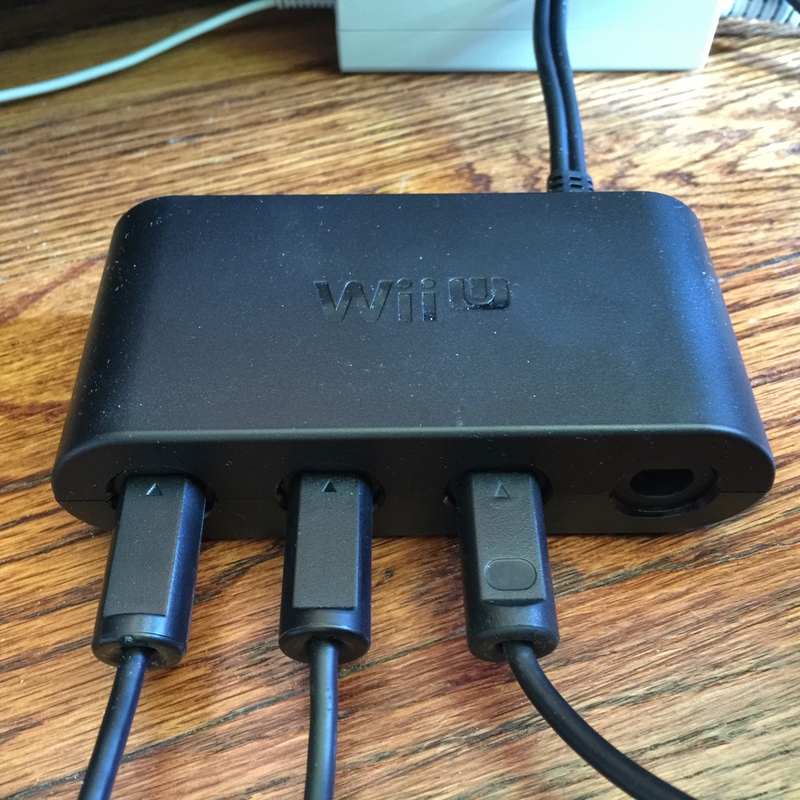 Of course, that’ll use up all your USB ports, but there is a line in the manual saying that “A standard powered USB hub may be used if there are not enough open USB ports on the Wii U console.” It also points you to their site for more information. Then, you plug your GameCube controllers into the other end. 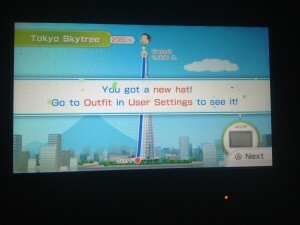 I put the Wii U into Wii mode and tested it with Dance Dance Revolution Hottest Party 2. As expected, there was no response at all when I tried to use the DDR dance pad. And again with Cyberbike. Again, just a greyed out controller. Now, it’s obvious by now that they simply didn’t touch the Wii emulation portion of the Wii U system to support this device. It’s a shame, because from a technical point of view it really wouldn’t be that difficult (heck, just a few days after the product was released, some enterprising hackers figured out how to get it to work on PCs). But I’m guessing that the executives at Nintendo didn’t want their customer service department fielding support calls for 20 year-old games and decided to keep support disabled. What’s ironic is that, judging by the masses of people clamoring to get their hands on one of these (heck, they’re being resold on eBay and Amazon for over $100), Nintendo would have a money-printing machine if they managed to produce enough of them AND build reasons for users to keep using them. As much as building Wii emulation helped Wii users adopt the Wii U, I have to think building support for the GameCube controller into Wii Mode and Virtual Console games would also help win over a good chunk of the 21 million GameCube owners out there. For my final test, I attempted to use my Cyberbike with Mario Kart 8, a Wii U game. But because Mario Kart didn’t build support for the GameCube controller, this didn’t work either (if you look at the back of the Mario Kart 8 box, you’ll see it supports every other controller out there–the GamePad, the Wii Remote, the Wii Remote and Nunchuk, the Wii Classic Controller, and the Wii U Pro Controller. One can only hope that some day, they’ll release a patch that enables it to support the GameCube Controller. For a lark, I started up Super Smash Bros and plugged in my DDR dance pad. And there the pad “worked” perfectly–I could use my feet to select menu options by using the directional buttons, and selecting things using the “A” button with my feet–with no lag and amazingly quick and precise responsiveness. 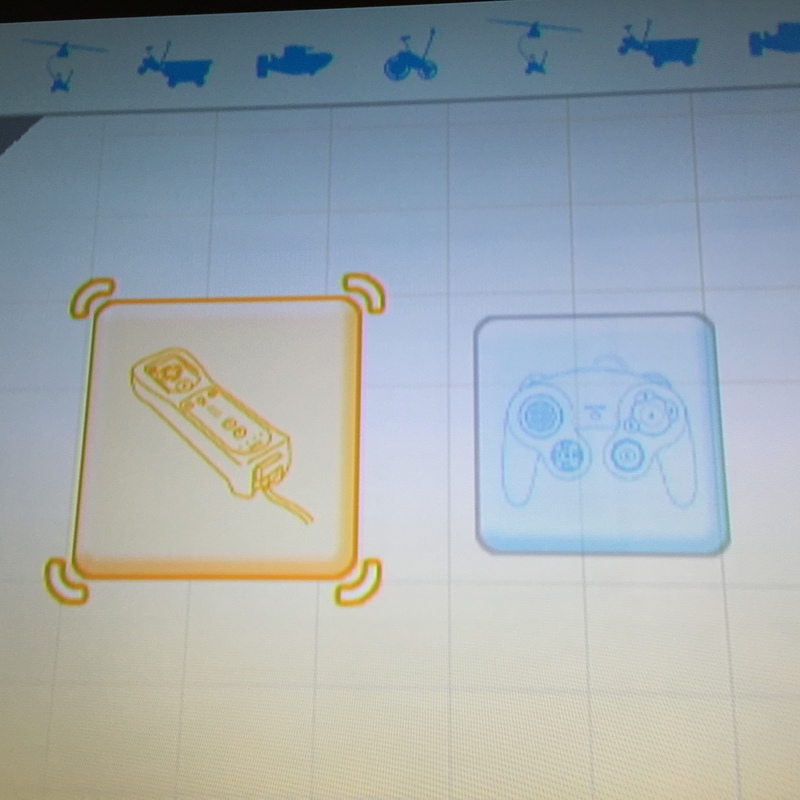 Now before you get too excited, remember that the players in the game are controlled by the joystick, so even though Smash Bros allows you to customize your controllers to a certain extent, you can’t map the directional buttons to control your character. Still, it was a small victory seeing that the controllers at least “worked”. We can only hope Nintendo will get the hint from the huge demand for the GameCube controller and release a patch that’ll allow us to use any GameCube controllers in Wii Mode, and that they’ll release or retrofit new and existing Wii U games like Mario Kart 8 to support the controller. In the meantime, if you’ve been thinking of buying this adapter in hopes that it’d work with some games other than Super Smash Bros for Wii U, I can tell you unequivocally that it’s not worth it. As for those who do want to use it with Super Smash Bros, I know there have been a lot of rumors lately out of the UK that Nintendo will not be making more of them. This is absolutely untrue–Nintendo is definitely making more of them and everyone who wants one will eventually be able to get one at $19.99…some say by Christmas, others day definitely by February. So unless you absolutely, positively need one before Christmas, I’d resist the urge to go to Amazon or eBay where they’re currently selling for over $100. The good news is that Nintendo has FINALLY confirmed a launch date for Super Smash Bros. , November 21. 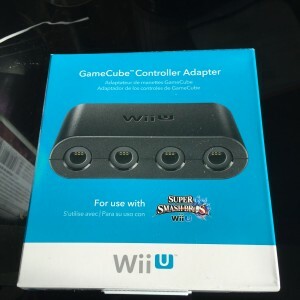 While I’m certainly a fan of the game, as I’ve mentioned on previous posts, the thing I was most looking for was the release of the GameCube Controller Adapter . 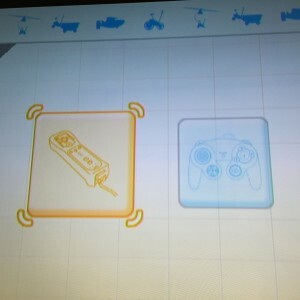 Early indications from Nintendo was that this would allow you to use the GameCube controller (and presumably other devices that used the GameCube connector like the Cyberbike, DDR dance pads, and Active Life controllers) with the Wii U. 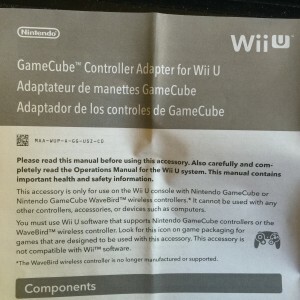 Even as recent as last week, their Web site proclaimed that the adapter would let you use a GameCube controller with “any game that already supports the Wii Classic Controller, Wii Classic Controller Pro, and Wii U Pro Controller”. Very quickly, Nintendo scrubbed that from all of its Web sites and released an announcement to the media reiterating that the adapter would work only with Super Smash Bros for Wii U, and would NOT allow other games to use GameCube controllers, nor would it enable GameCube controllers to be used on later versions of the Wii that ripped out the GameCube sockets. For those of you who missed it, 2 weeks ago there was an update to Wii Fit U . There were the typical updates of bug fixes and UX improvements. For those of you who, like me, use the Fit Meter every day I can, you’ll be happy to know that there are a bunch of new Fit Meter Challenge Courses. You’ll have these new trails to conquer as well, complete with new cultural and historical information. You’ll get these new ones. 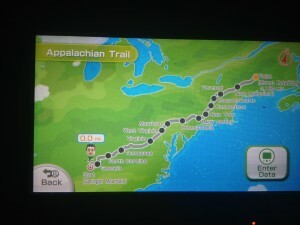 Here’s what the Appalachian Trail looks like. I do like that as you hit each checkpoint, you can read information about the location that can even help you plan a real-live trip. Unfortunately, if you’re doing a lot of miles at once, you won’t see these pop up for each checkout. But if you enter a little bit of data at a time, you can vicariously relive the experience of hiking the long trail. There’s something cool about taking your normal walk and “applying” the miles to a real-life hiking trail. It’s been a while since I input my altitude data, so I decided to relive my visit to Tokyo Skytree last December. Lo and behold, I got a new hat out of it! The timing of these improvements to Wii Fit U couldn’t be better for me, as I’ve recently started on yet another experimentation in changing daily habits and weight loss. I signed up for New York City’s oft-maligned bike share program. I decided while there’s a lull in fitness video games, I might as well start doing a little blogging about my Citi Bike experiences. Feel free to take a gander if you’re interested…if not, stay tuned for a review of a new Wii U fitness game shortly! 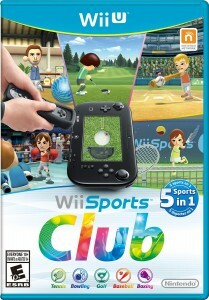 As I mentioned on this blog before, Wii Sports Club has been available for some time as a downloadable title on the Wii U. Even though only a few sports were available, I did put it on my top ten list of Wii U Fitness games. In particular, boxing can provide a fantastic workout, baseball and tennis can get you some light to moderate exercise, and golf and bowling, well, if you’re like my nephew who jumps wildly up and down every time he crushes me in a game, you’ll get a workout there too. While Nintendo originally announced that Wii Sports Resort would be a download-only game, they’ve wised up and decided to make it an actual physical disc. It’s not free like the original Wii Sports, but at $39.99 it’ll be cheaper than most new Wii U games (as well as cheaper than buying them separately online). And if you have a Wii U, I’d say it’s worth it for the much more detailed graphics, the more precise MotionPlus controller support, and the really good online gameplay. If you’ve already purchased some titles online, it probably makes sense for you to finish buying the rest online (golf was released in December and baseball/boxing became available today). But otherwise, if you can wait until July 25, you can get all the games for a great price–and have a physical disc you can bring to a friends’ house. You can pre-order it at Amazon here .